Disguised in the cover of a favorite summer time topic — why don’t store-bought tomatoes taste good? 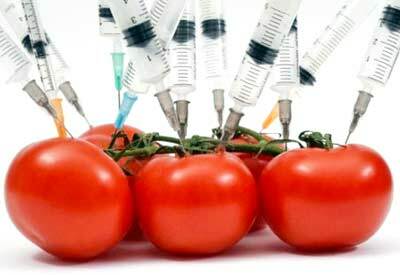 — The New York Times has printed a story, “You Call That A Tomato?“, with an accompanying video that frames the movement to label genetically modified food sources in the GMO development’s first failure: the Flavr Savr tomato. Brought to market in 1994, the Flavr Savr created a small sensation. Here was a tomato designed to withstand the rigors of shipping, one that would last in your kitchen for weeks while regular tomatoes shriveled and went bad. It was clearly labeled and marketed by its manufacturer Calgene as a product of “trans genetic plants.” Everyone knew what it was and why. At the time, it was seen as the leading edge of a Brave New World technology. Watch the video for its historical and modern contrasts. You’ll hear celebrity news person Connie Chung announcing its release and Tom Brokaw repeating, “and they say it’s tastier.” How the tomato’s sale ended in disaster is more a product of marketing and a lack of practical information on the raising and shipping of tomatoes. The Flavr Savr, grown in Mexico and poorly packed and shipped, often arrived in American markets as soup. The price for them was at least twice as high as that for a regular tomato. And in a bit of the emperor not wearing clothes, consumers were shown savoring the taste of the tomato when in fact it had little taste at all. The video has problems and we invite commenters to point them out. 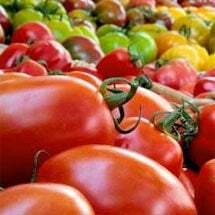 It frames the GMO issue in mostly pro-terms — one of the tomatoes developers wants to see one person who was made sick by a genetically-modified plant — but does give something of an overview to the issue. It suggests that European rejection of GMOs is a result of bad marketing. Some of the arguments defending the anti-GMO forces, even if coming from members of the Union of Concerned Scientists, seem a bit wishy-washy. There’s also a quote equating naturally hybridized tomatoes with GMO plants; not the same thing at all. Many of our grocery store tomatoes today are tasteless, but that doesn’t mean they were produced in the same way as the Flavr Savr. One of the commenters to the Times story makes a good point about today’s grocery store tomatoes calling the store-bought tomato the “gateway drug” of vegetable gardeners. “Tasteless commercial tomatoes pushes (sic) a lot of people into growing their own,” he writes. In that, they are providing consumers a valuable service. Want delicious, old-fashoned flavored tomatoes? You know what to do. Of course, the whole culture changed when Monsanto bought Calgene and turned the whole GMO business into a secretive, patent-dependent business. Most of the GMOs grown today are major ingredient sources — corn, soybeans — and their use is never identified on product labels (wise consumers know that if a food contains corn or soy, the majority of which is GMO, it most likely contains genetically-engineered products). They continue to fight laws that might require them to label such products even though the tide is turning against them. One of the original developers makes an important distinction when it comes to the Flavr Savr and today’s genetically modified plants. Today, the benefits of the GMO crop is to the farmer and not the consumer. That may be true but, with billions of dollars in sales, we think the benefits go to the corporations that own the patents on these trans genetic plants. No wonder they want to keep secrets.